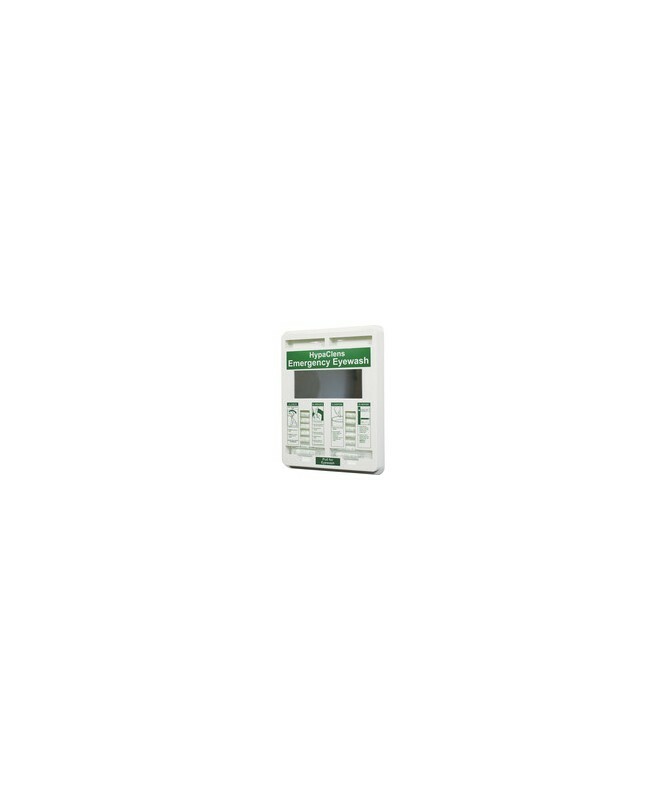 The HypaClens 20ml Eye Wash Dispenser is wall-mounted and ensures that in the event of an emergency eye wash is easily located. 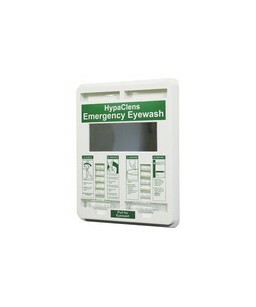 The dispenser can be purchased empty or together with a pack of 25x 20ml HypaClens Eye Wash Pods at a great value price. Refills can be purchased seperately when required. The HypaClens 20ml Eye Wash Dispenser is ideal in any workplace environment, including workplaces with higher number of employees. 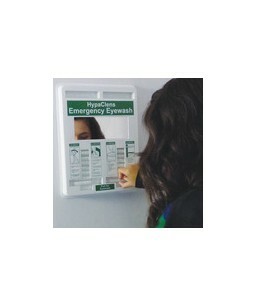 The Eye Wash Dispenser features clear instructions for using eye wash pods on front of the cabinet, enabling ordinary people to provide help in case of an emergency. The integrated mirror is ideal for self-administration of eye wash.